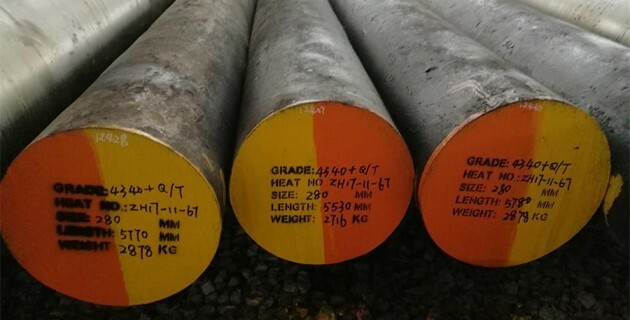 AISI 4340 steel is a low alloy steel which contains at least 0.7 Cr%, 1.65 Ni%, and 0.2% Mo as strengthening alloy elements as per ASTM A29.As a heat treatable steel,AISI 4340 has a very good balance of strength, toughness and wear-resistance,and can attain high strength while retaining good fatigue strength which makes it ideal for all highly stressed parts in the most severe conditions.It may be used in both high and low temperature environments.Compared with AISI 4140,AISI 4340 has higher strength levels because of its better hardenability and improved CVN impact toughness.AISI 4340 is generally supplied with quenched and tempered condition with a tensile strength of 930 – 1080 MPa,hardness 28 to 34HRC. Pre hardened and tempered 4340 can be further surface hardened by flame or induction hardening and by nitriding.Flame or Induction hardening can achieve a typical surface hardness up to HRC 58,and nitride with a typical surface hardness up to HRC 60. 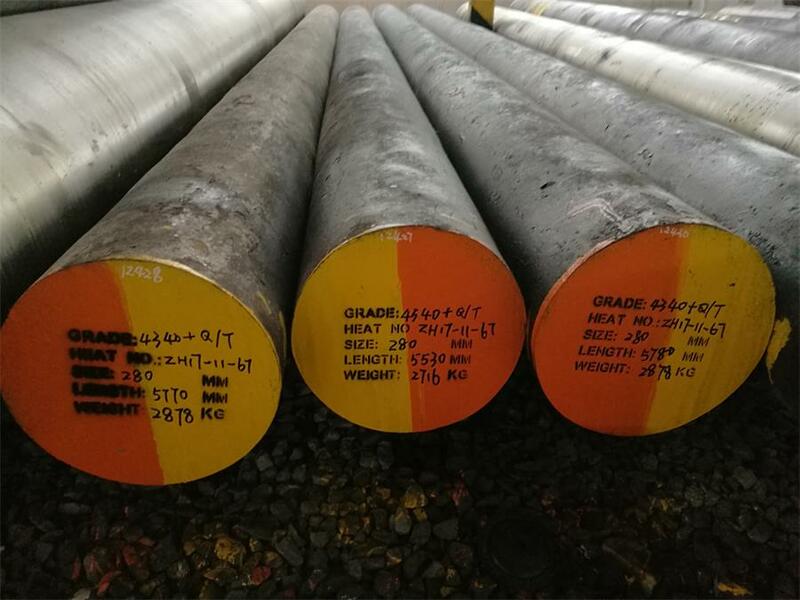 Forging temperature should be carried out between 1150℃-1200℃,Reheat the steel once temperature below 850℃.AISI 4340 has good forging characteristics,but this material is easy to crack when cooling improperly,Cooling in sand or in the furnace after forging is recommended. AISI 4340 is used in most industries for applications requiring higher strength than AISI 4140 can provide. Typical applications : Heavy Duty Shafts, Gears, Axles, Spindles, Couplings, Pins ,Chucks, Molds etc.